​Join us for an Information Session to learn more about the MSCJ program. 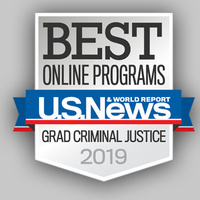 You’ll hear about admissions requirements, meet faculty and administrators, view the curriculum and learn what makes the UHD Master’s in Criminal Justice one of the best criminal justice graduate programs in the nation! Join our info session and get your questions answered!